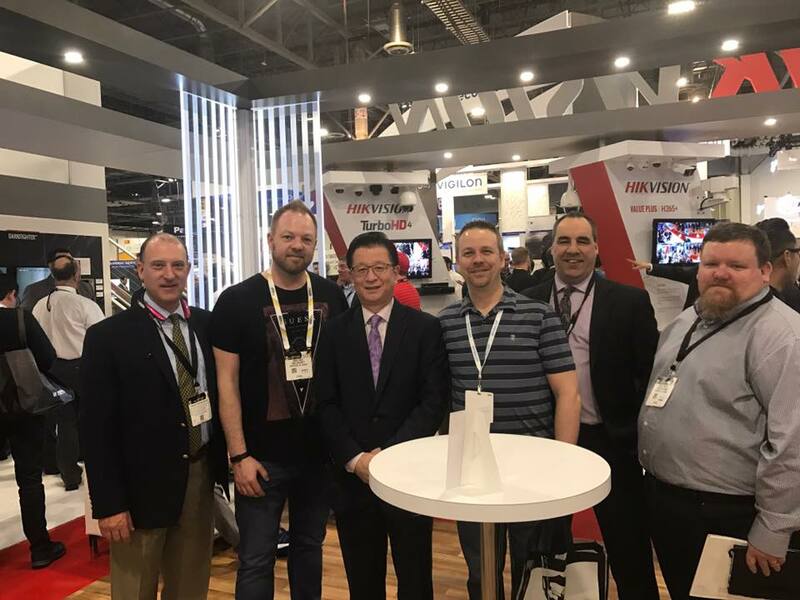 Would you rather partner with a cutting-edge security LEADER that brings the latest and greatest crime-fighting technology back for their Clients? Or would you like to partner with the Dinosaurs that like to FOLLOW? 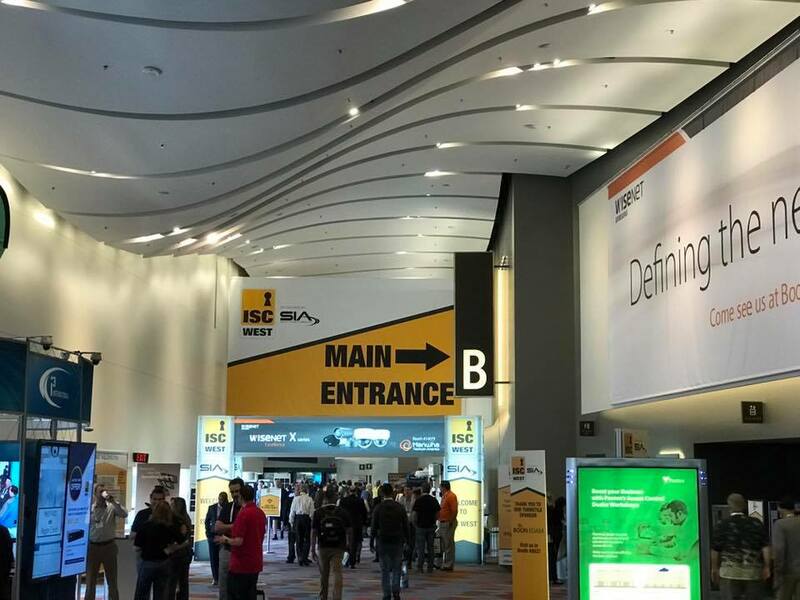 Every year we head to Vegas to attend ISCWest. With 1000 exhibitors and 30,0000 security geeks it's the largest Security Expo in North America. 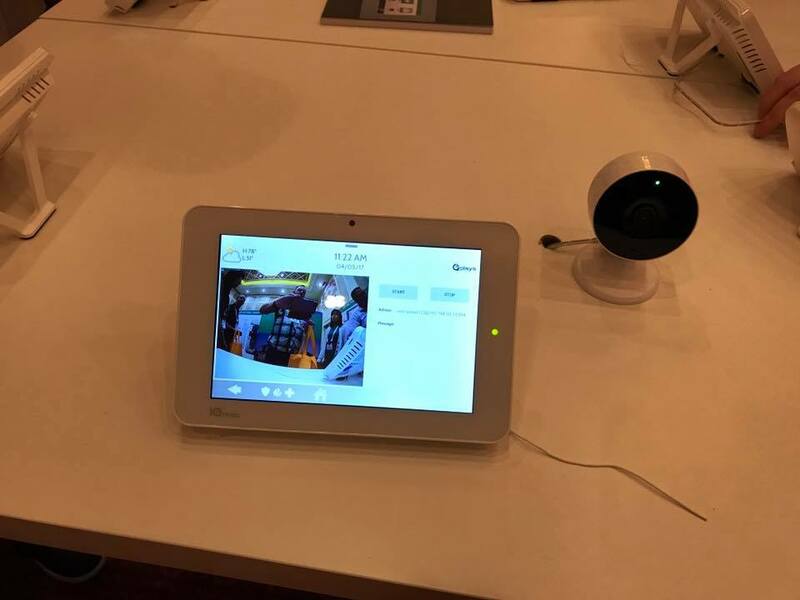 The near future is all about smart security cameras and video management software with Artificial Intelligence (AI). It's getting close to what you see on TV shows like CSI. 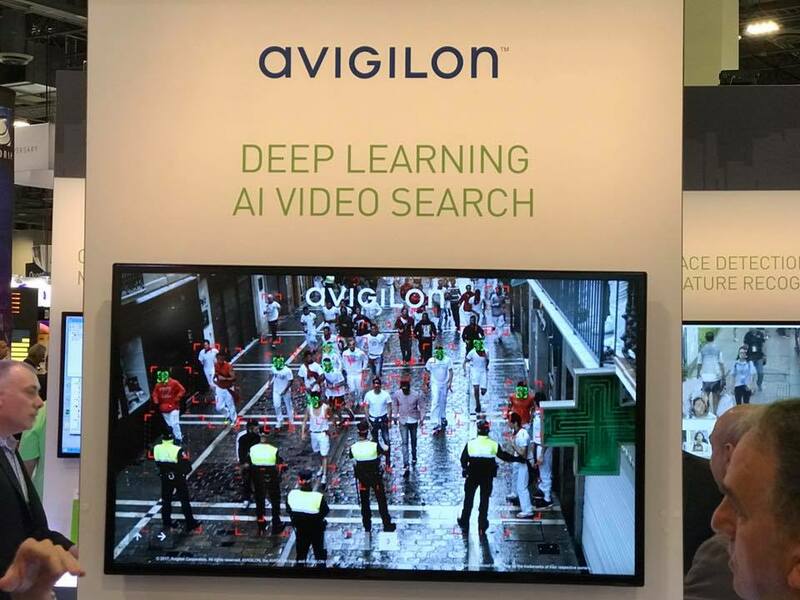 One example is Face Appearance Search by Avigilon. The software is so smart it can quickly search for the Face of a Person at a site. 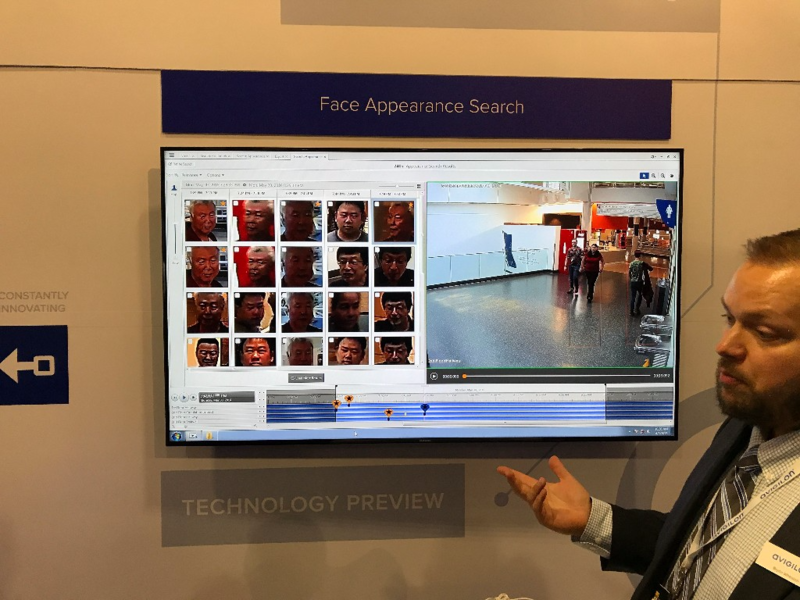 In the example below the Avigilon representative chooses a thumbnail image of the person he wants to find and the recorded video with the persons face displays immediately. If you look closely, the person he is looking for is on the far right and has an identification box. This is ideal for high traffic locations such as schools, airports, hospitals, government and office buildings. 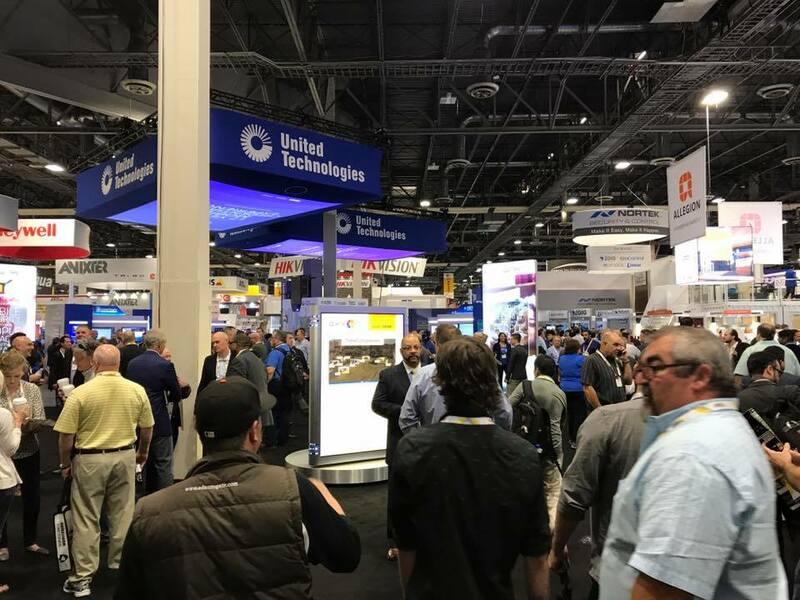 With over 1000 Exhibitors and 30,000 Security Geeks, ISCWest is THE PLACE to find the latest and greatest security innovations. 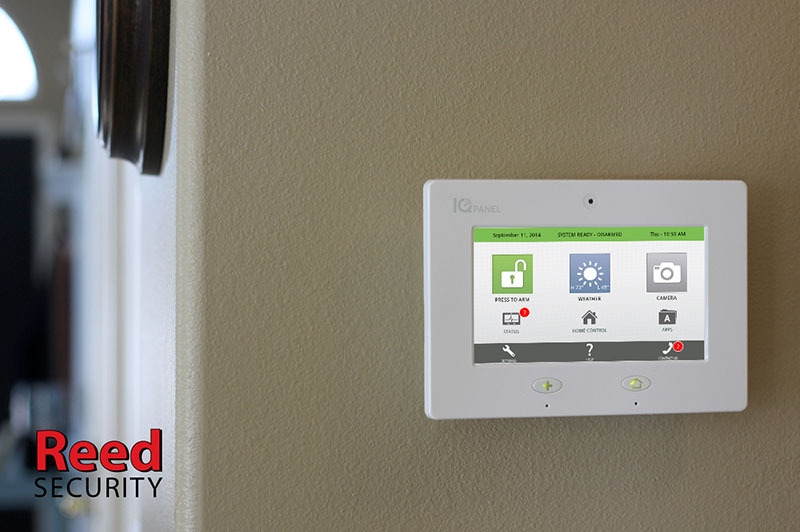 Our Sales Manager Ken Spence checked out the Qolsys IQ2 Smart Security & Automation system. This is by far the SMARTEST home and small business solution we've ever seen. Coming to Reed Security mid 2017. The Qolsys IQ2 Smart Security & Automation system has a few unique features you will not find on any other system. The built in 5MP camera takes photos every time the system is Armed or Disarmed and e-mails it to you (on DisArm). Coming to Reed Security mid 2017. 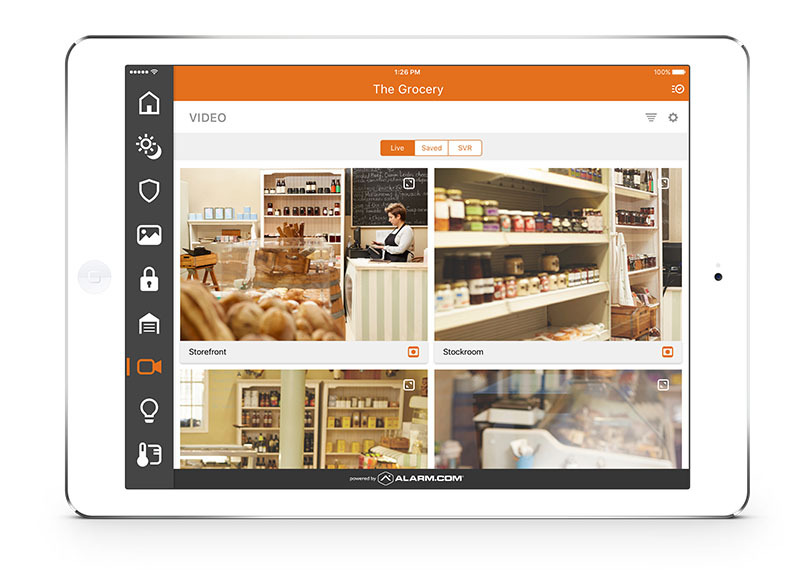 The Qolsys IQ2 Smart Security & Automation system has a few unique features you will not find on any other system. The 7" touchscreen displays HD video cameras. Also has a built in glass break sensor. Coming to Reed Security mid 2017. 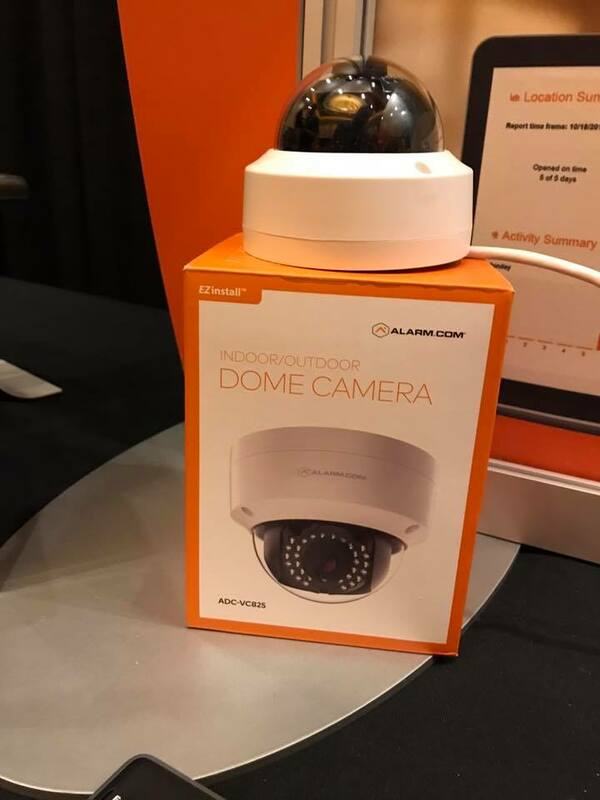 Alarm.com has a few new HD camera options. 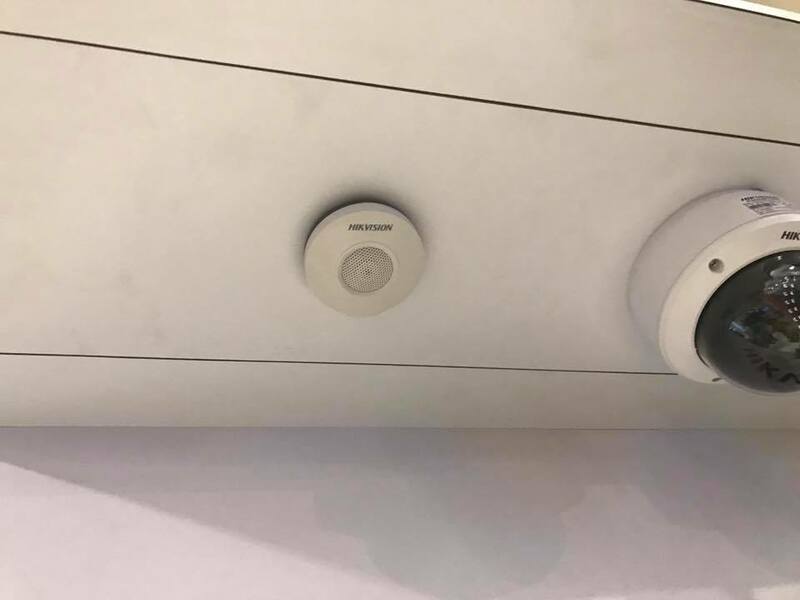 Above is a Bullet style security camera and below is a Dome style security camera. Comes with Alarm.com cloud recording (no local storage required) and the ability to view with your smartphone. Works best when integrated with a Reed Smart Security & Automation system. 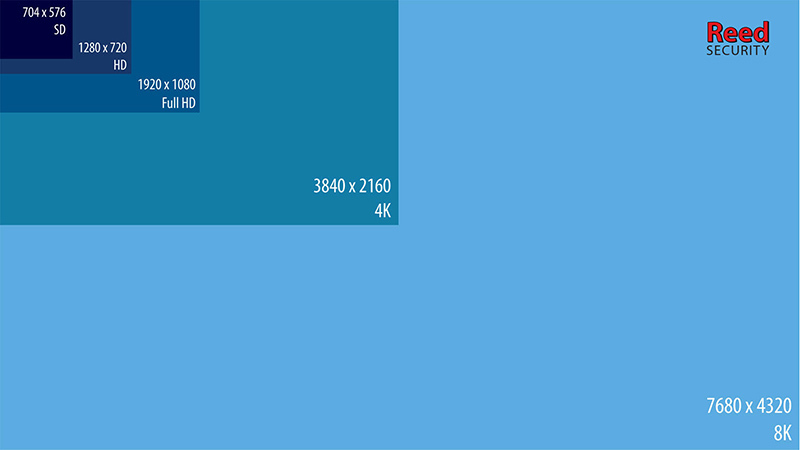 For example, when a door opens a video clip of the event is stored to the cloud. 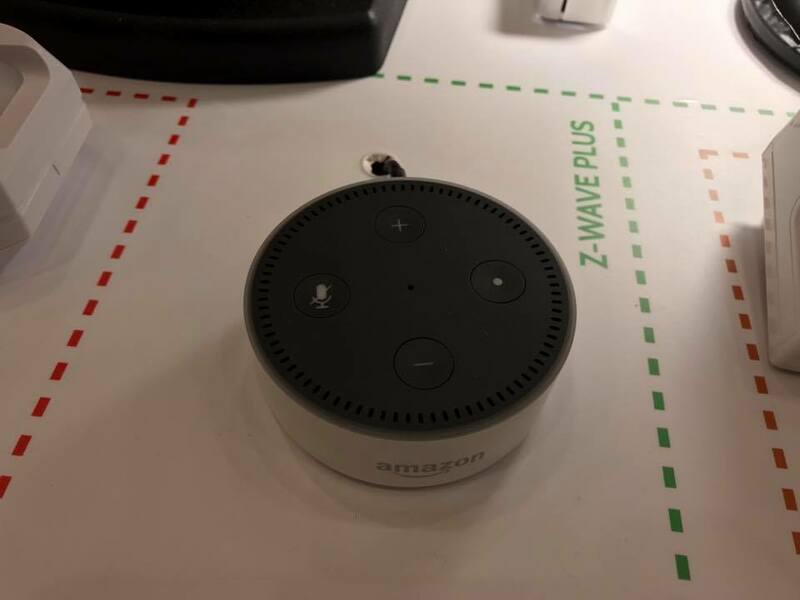 With Amazon Alexa you can use voice commands to control your IQ2 Smart Security & Automation system. This is similar to Siri or Google Assistant. Unfortunately this is NOT available in Canada yet. The Qolsys IQ2 Smart Security & Automation system has a few unique features you will not find on any other system. You can DisArm your system with your SmartPhone (without even using an app). Coming to Reed Security mid 2017. 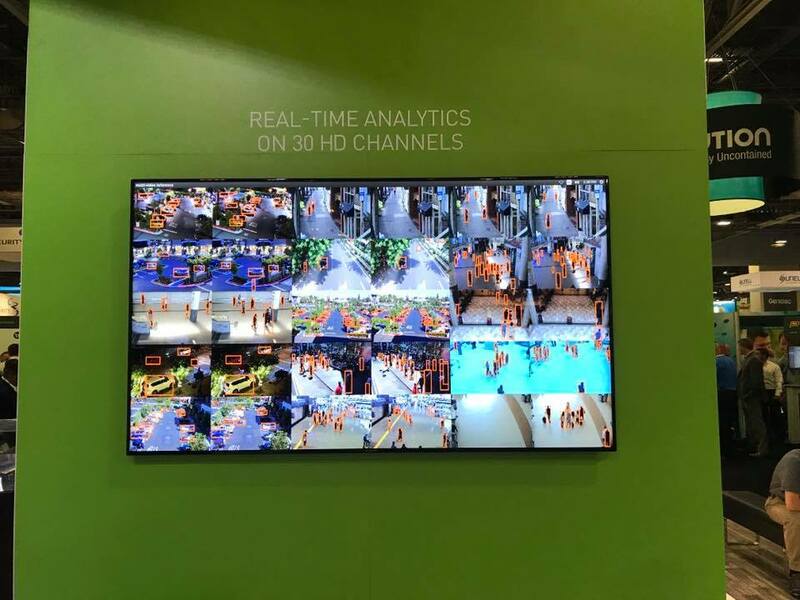 DSC has some great video verification solutions. When your alarm triggers a photo is taken and sent to our Emergency Operators. The Emergency Operator ONLY dispatches the authorities if an intruder is present. This security solution is ideal for back yards and fenced compounds. If you are having a lot of EXPENSIVE false alarms, then this is the right solution for you. 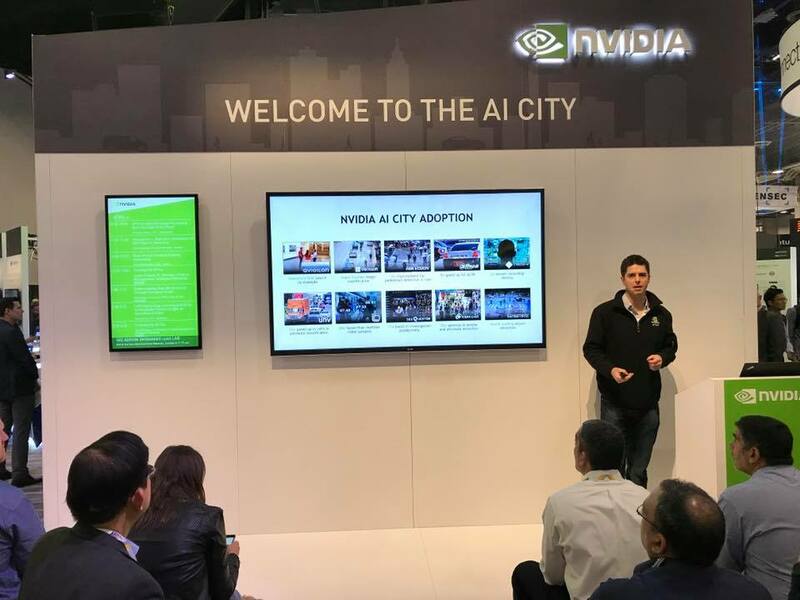 nVidia had 20-odd demos displaying the latest robotic guards and security drones. They have Object Recognition software so accurate it personalizes retail experiences or speeds up law enforcement investigative work. It also has the capabilities to identify cars and pedestrians to keep traffic moving. 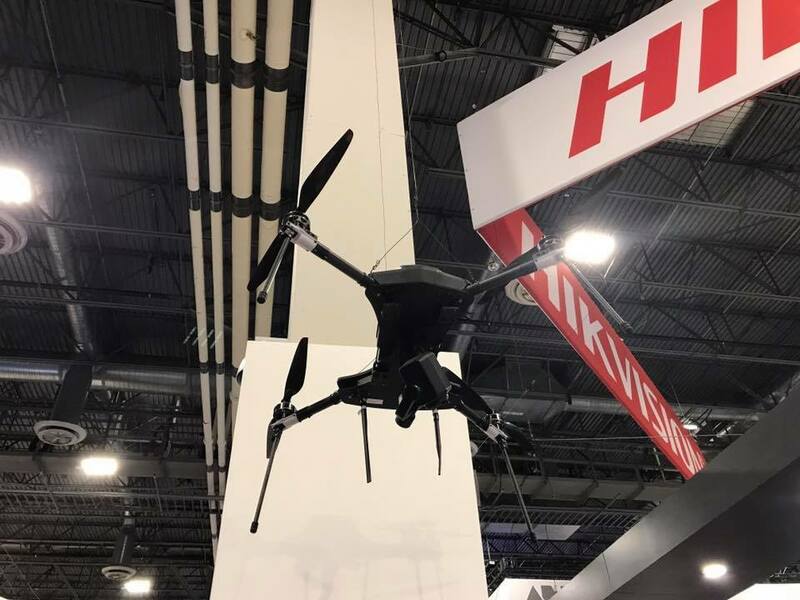 Many security companies are investing into Drone technology and developing an integrated security solution. Imagine a smart camera that detects a Person and Drone launching to follow, record, a talk to an unwanted visitor. Our friends at Saskatoon-based www.draganfly.com were way ahead of their time! Drones can be used to deliver and detonate explosives. 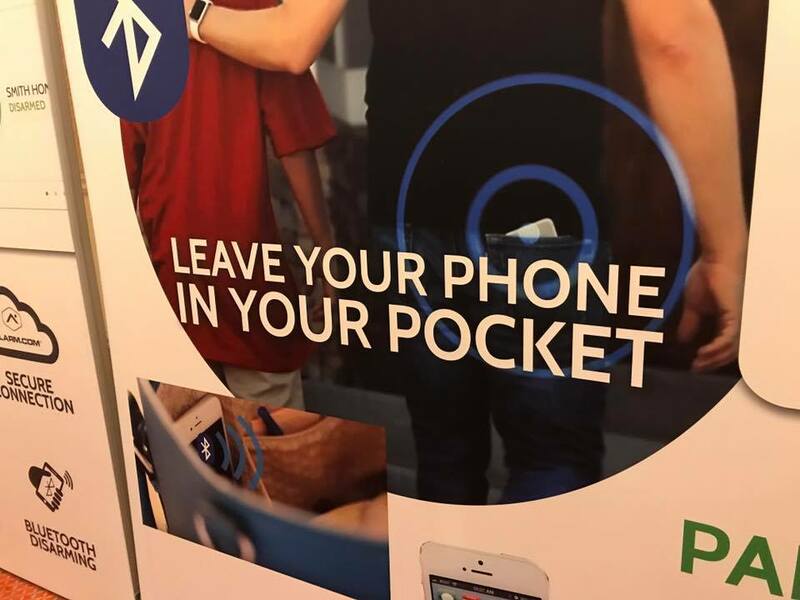 But not if you have a DroneSheild gun. 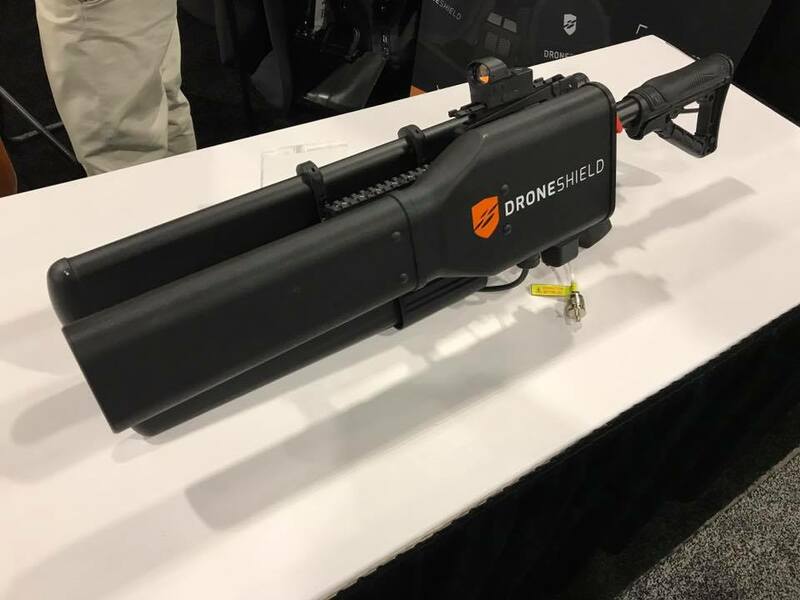 DroneSheild is a counter-measure that allows you to safely take control and jam video frequencies. This isn't R2D2. 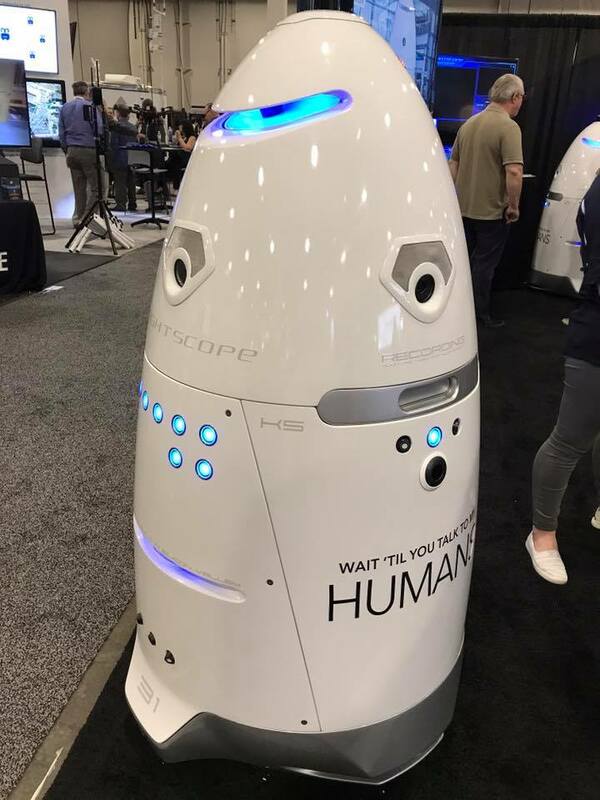 It's the Knightscope Autonomous Data Machine (a security robot). It's microphones, cameras, and analytics are designed to detect threat and alert the proper authorities. The founders created the ADM in response to school shootings and the Boston marathon bombing. 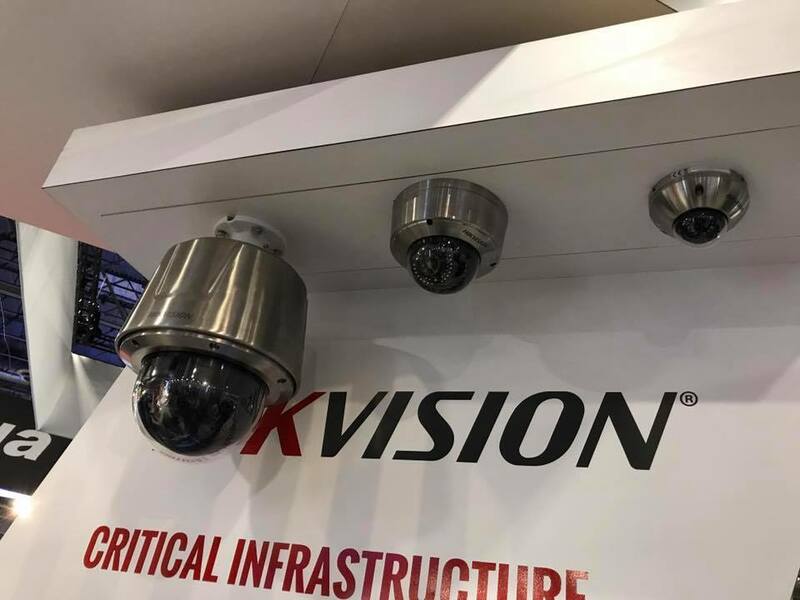 Hikvision has released a Specialty Camera Solution line for coastlines, marinas, ports, food processing sites, mines, oil and gas facilities, airports and solar farms. 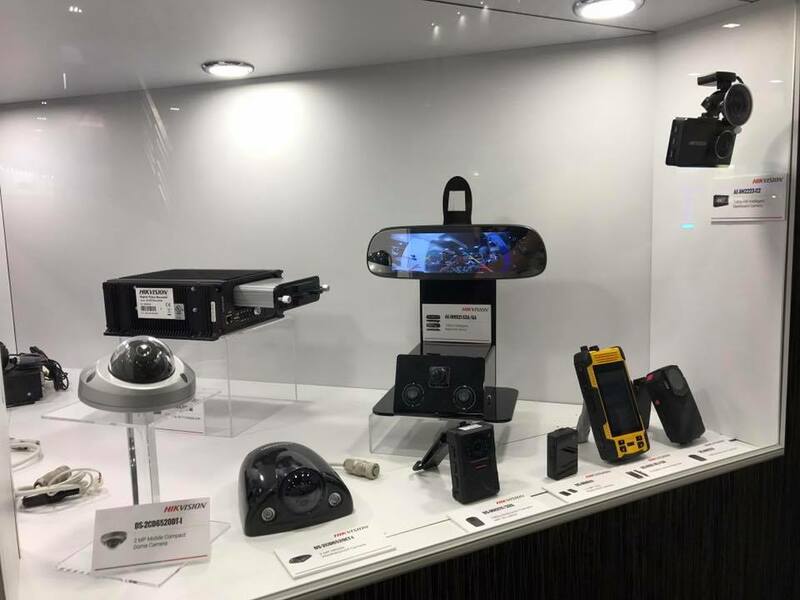 Hikvision has expanded into vehicle surveillance applications and body worn cameras for law enforcement and security guards. Hikvision launched an affordable microphone to record conversations. Audio + Video provides the best evidence to convict a criminal. *Audio recording is not legal in all jurisdictions. 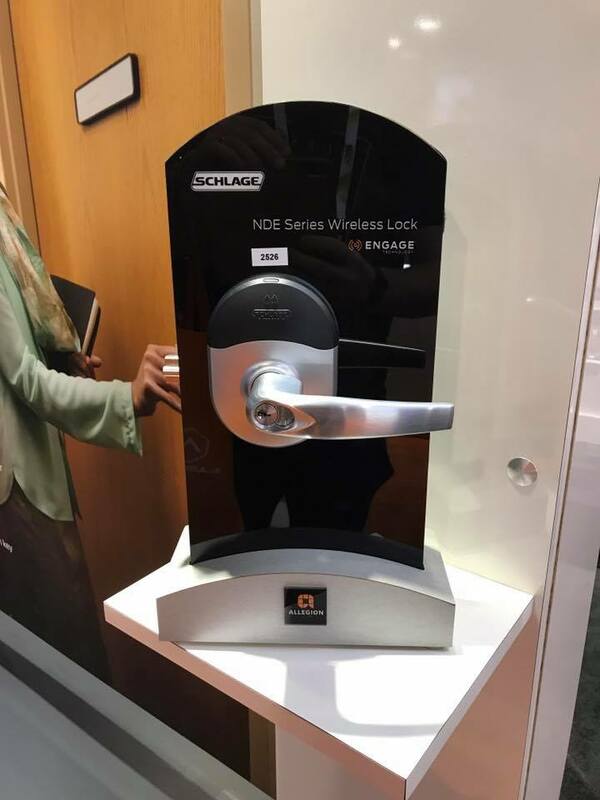 Schlage has a wireless access control solution for applications that are hard to wire. Comes with a built in proximity reader. 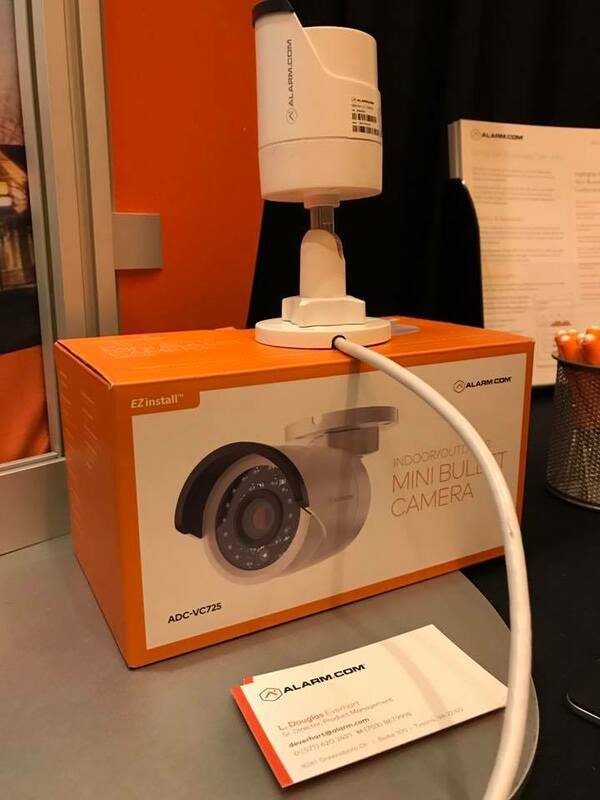 A security camera hack occurs when an unwanted person gains access to your security cameras via a network or internet feed. The hacker could be a teenager showing off his tech skills to peers, a current or former employee wanting to gain business intelligence, or a criminal wanting to observe security measures or even disable them. Large scale hacks have occurred when internet activists such as Anonymous target specific businesses or industries. We have installed 10,000+ i.p. security cameras and we have NOT experienced security vulnerabilities or hacking. As a professional installation company we take extra security measures. 1. Install the latest firmware on all i.p. security cameras, recorders, routers, switches, and wireless access points. Updating the firmware will correct any known security issues and sometimes add security functions to the device. 2. Do not use default passwords or leave them blank. - Do not use common words, phone numbers, address etc. - This applies to the router, some switches, i.p. security cameras, and network video recorders. 3. Keep track of who has access to your security systems. -Do they really need it? -Do they need to view all cameras or just a few? 4. If you have remote access to a site with your smartphone, make sure your smartphone is locked when not in use. Some apps will give you full access to the setup of i.p. security cameras and/or NVR (network video recorder). 5. If the NVR is connected to a network that has Wi-Fi, ensure that the Wi-Fi is using encryption and again it has a strong password. Contact Us today for a Free Security Evaluation or to find out more information. Alarm systems are no longer the basic burglar alarms they used to be. 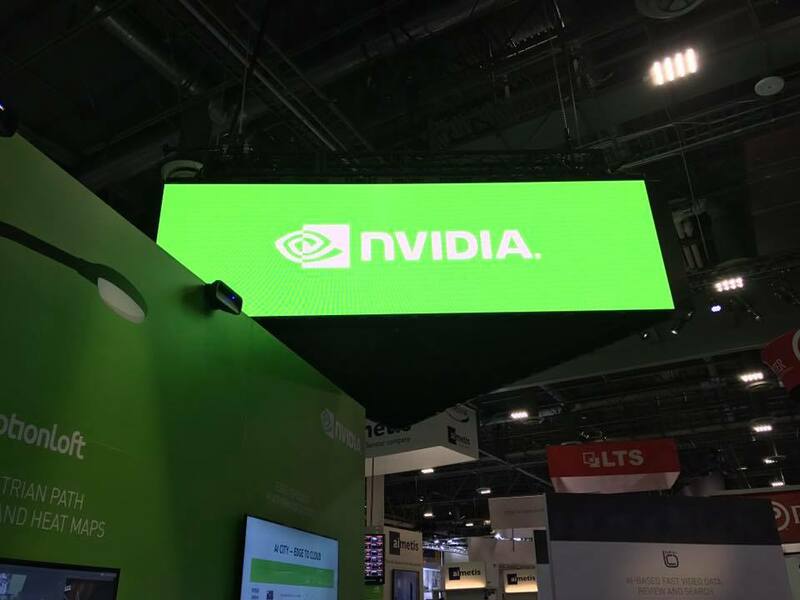 They no longer cost thousands of dollars and they no longer take days to install. 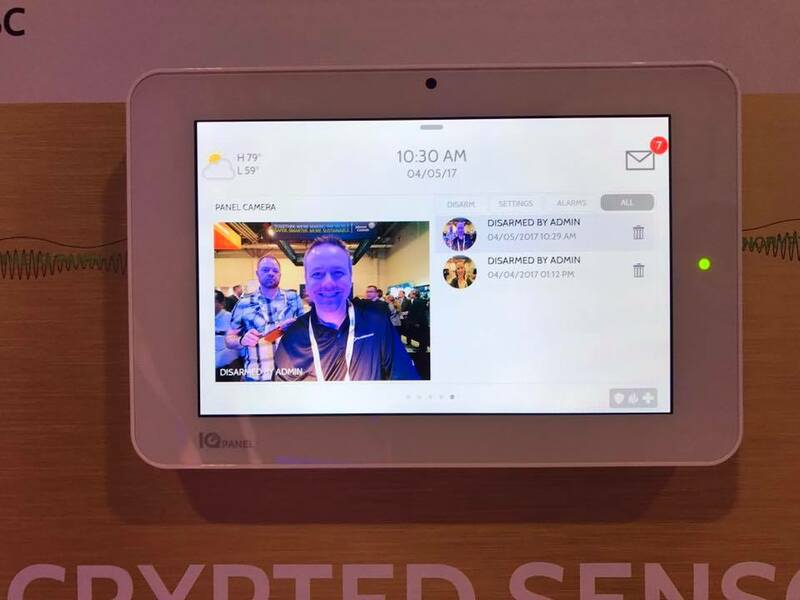 In our latest Regina Security Blog post we highlight the latest security & automation technology available to home and business owners. In the past, most Regina security systems required a landline to send alarm signals to a 24/7 Central Monitoring Station. An emergency operator identifies the signals and dispatches the local authorities (Police, Fire Department) as well as your call list. 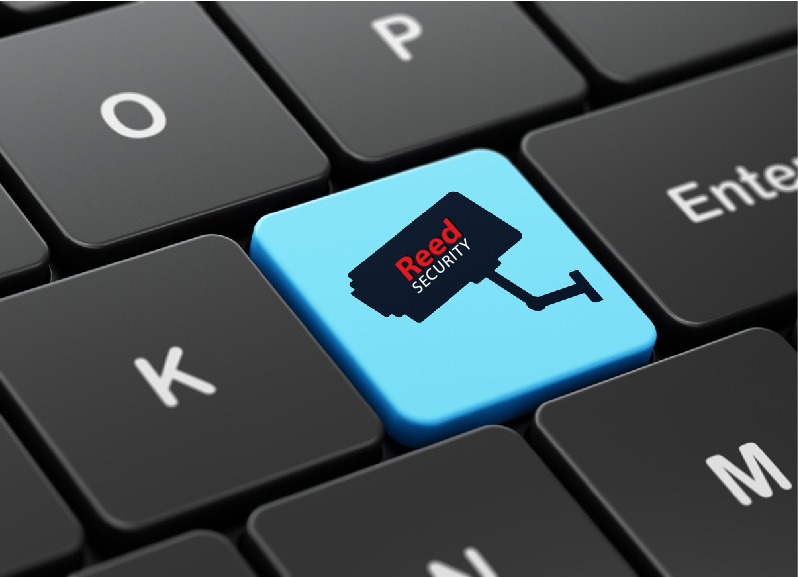 Modern security systems can still use a landline, but 85% of Reed Security’s new subscribers use ALARM.COM 3G/4G cellular connections. Since a landline is no longer required you could cancel this service and save $25 to $35 a month with your local phone provider. 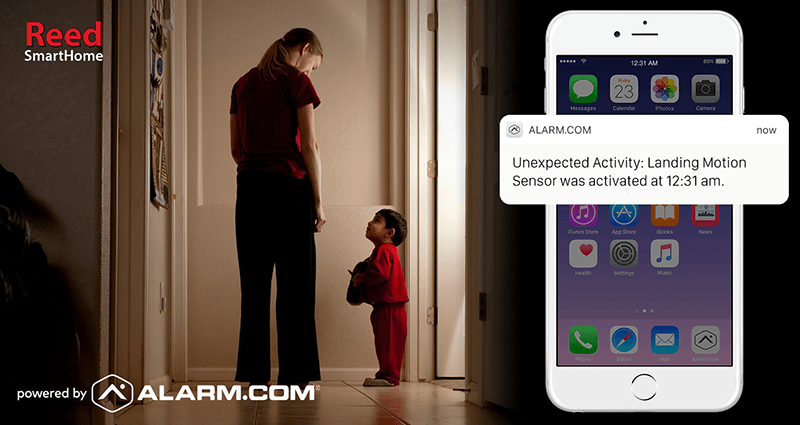 With ALARM.COM you can get instant email notifications when your security system is armed or disarmed. The is an especially popular feature for parents that want to be notified when a child arrives home from school. “The Smith Family Security System was disarmed by Jamie at 3:52 p.m.”. If you’re a business owner or manager you can receive instant notifications when employees arrive to work or after hours when nobody should be at your building. 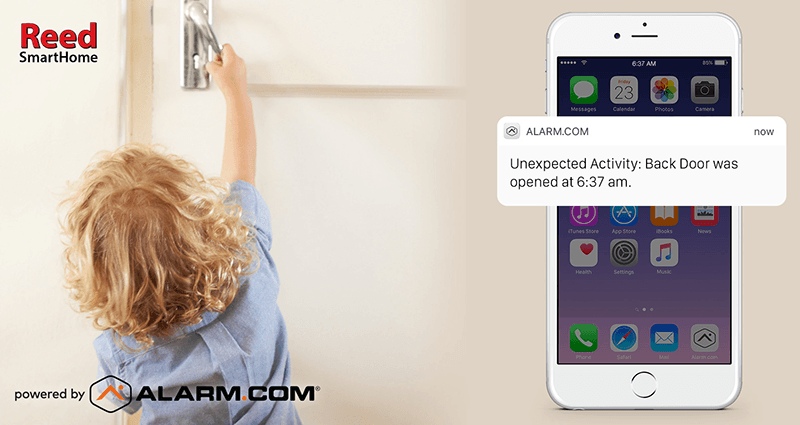 ALARM.COM smartphone apps are *free when you subscribe to an ALARM.COM interactive plan. Have you ever heard of the Internet of Things (IoT)? IoT refers to connecting any item with an on and off switch to the Internet and controlling them with apps. 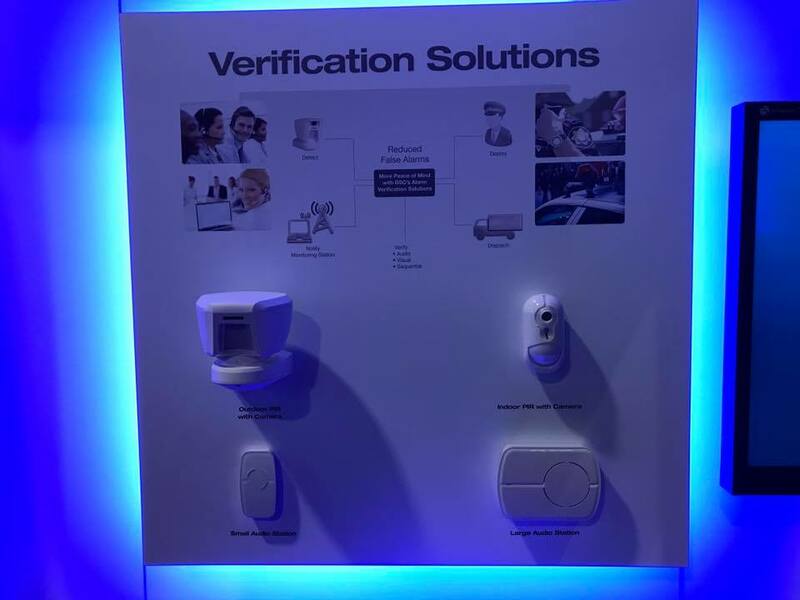 Today’s modern security system is also a smart home automation system that can control your smart door locks, overhead doors, smart thermostat, HD Wi-Fi Door Bell Camera, Light Switches, HD Wireless Cameras and more. 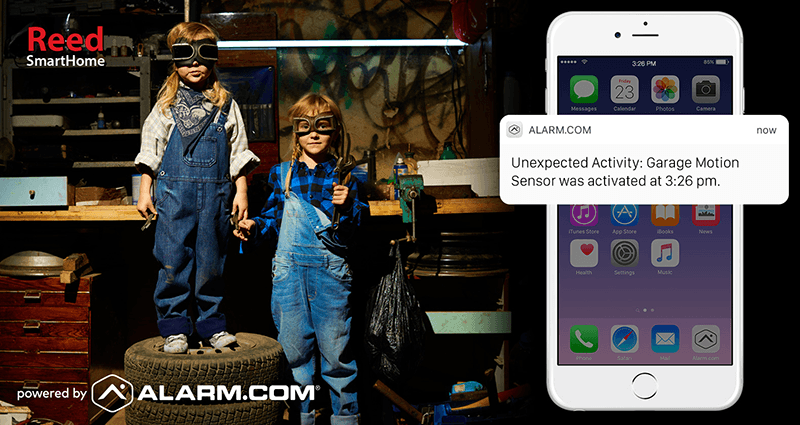 With ALARM.COM you can stay connected to your home or business with one single app rather than having different apps for each IoT device. With the evolution wireless security sensors and devices we no longer need to run wires throughout your home/office and risk damaging walls, floors, window casings and baseboards. 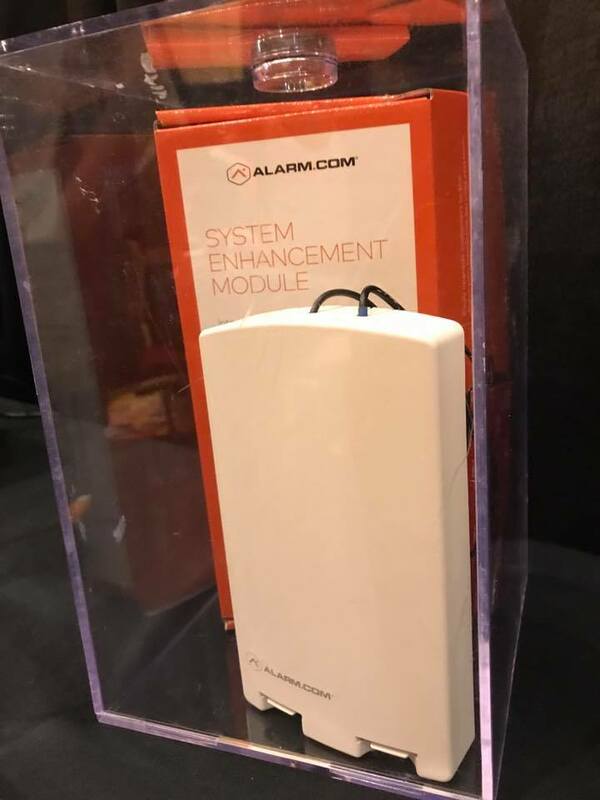 Wireless security sensors and devices communicate with an encrypted frequency, have a range between 250 feet and 1.6km and have long lasting non-proprietary batteries that can last up to 7 years. This has also reduced professional installation times drastically – minimizing any interruptions of having a contractor working at your home or business. A new category for home security is DIY. Who doesn’t want to try to save few bucks right? If you’re a handyman and have an intermediate understanding of low voltage electronics, then this is a great option for you. Approximately 10% of Regina home owners and business owners are performing self installations of their security systems. These systems are NOT monitored by a 24/7 Central Monitoring Station and the Police and Fire Department will not accept any automated phone calls from your security system. This means you’re on your own when you need help the most. For the rest of you, choosing a Professional Installation company to provide a Smart Home & Automation system is a better option. 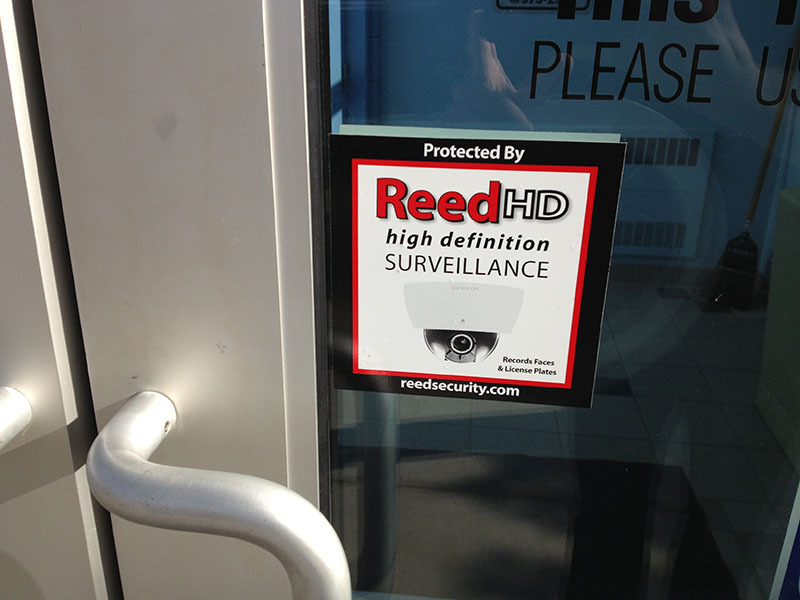 Reed Security $0 Down Plans are the most popular and all inclusive . All you have to do is take care of the affordable monthly fees. 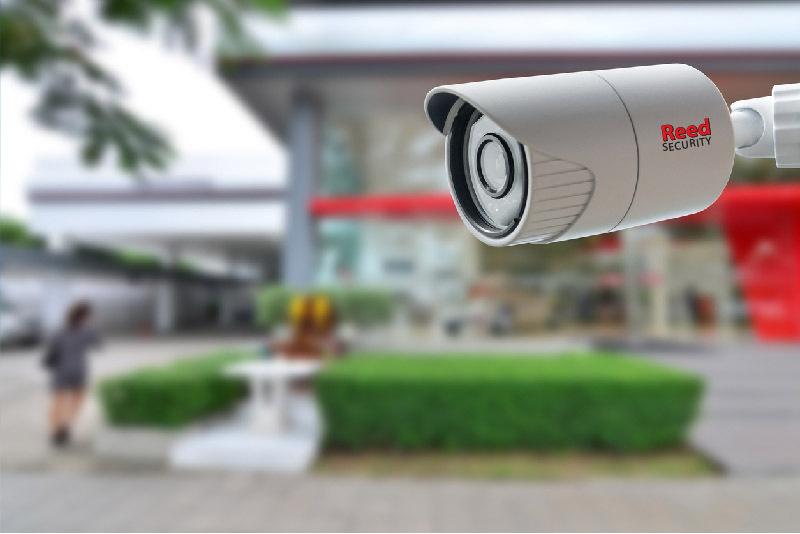 Plus, since your Security & Automation system is monitored by our 24/7 Central Monitoring Station you will be eligible for an insurance discount. Discounts on your home owners insurance range from 10% to 25%.